Padiham really does have all the ‘keep fit’ options in one place ! You can now experience the exciting sport of BMX riding on either of the two circuits installed for Burnley Council. The advanced level track we installed in November 2016 comprises a tarmac surface with berms and rollers and chicanes, all to excite the riders and give alternate options when ‘pumping’ around the circuit. 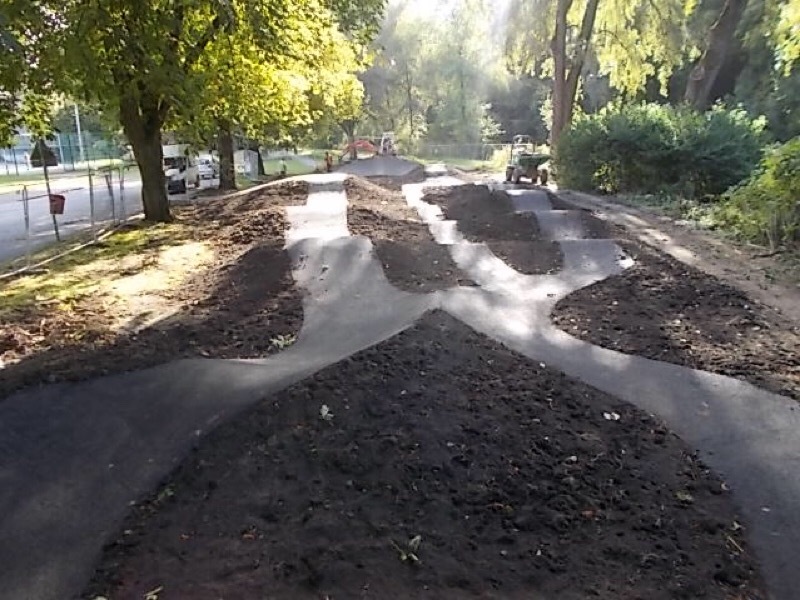 Thanks to wikipedia – ”A pump track , a small track using as little as 10 x 30 feet of land, is a looping trail system of dirt berms and “rollers” (smooth dirt mounds for pumping) for bicycling without the rider pedaling. The name comes from the pumping motion used by the cyclist’s upper and lower body as they ride around the track. The purpose of a pump track is to use this pumping motion to maintain speed around the track without pedaling”. Designed by Burnley Council Engineers Dept. the track has created quite a stir in the local community and is a regular lunchtime activity for local office staff from the nearby computer centre in Altham. Two of the riders, Ben and Calum, helped to advise on the berm construction and even have the elements named after them on the site plan. The physical construction of the site required skilled machine work to shape the stone sub base and regrade the embankments, the tarmac surfacing being the real ‘icing on the cake’. The surface is ideal for all self-propelled wheeled units and can be ridden without pedalling – if you are competent and pump in all the right places! As a promoter of physical fitness and health and well being, Burnley Council have provided a superb range of activituies for this small town. 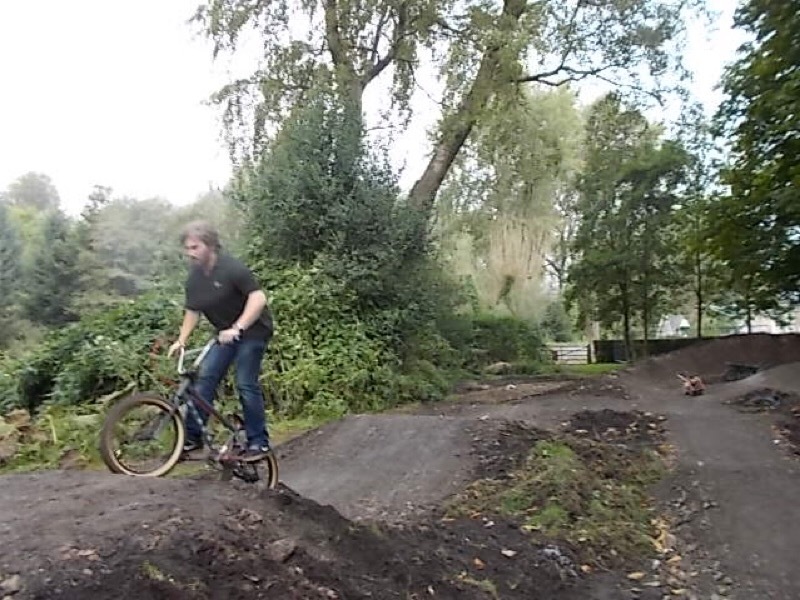 Outdoor gym, Ball court, Tennis and Bowls, Childrens play and now BMX – here at Landscape Engineering Ltd we build them all, so if you would like to improve your park why not call us. We are always happy to work with Landscape Engineering Ltd. They are flexible, professional and helpful and always provide us with what we need. 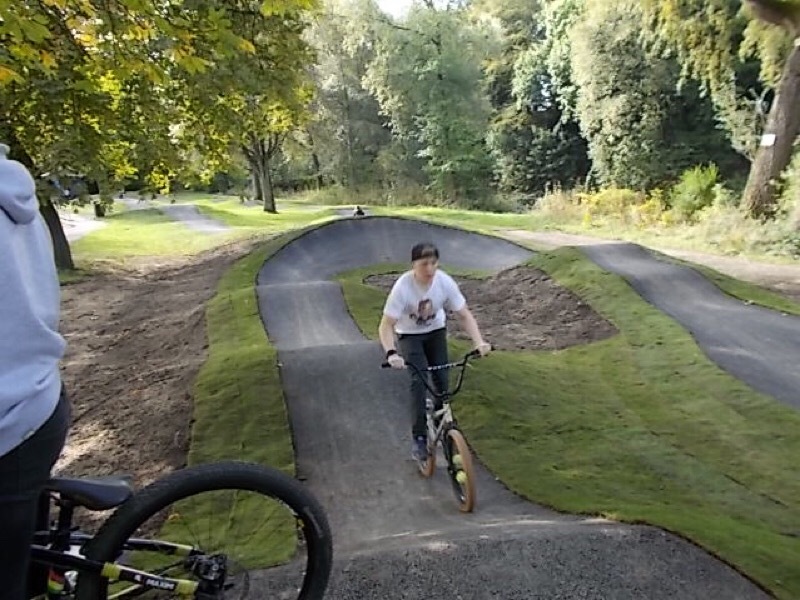 The experience they have with pump track construction is growing all the time and this shows with the quality of what they have achieved for us in Padiham.